← Kimi Ni Todoke: Episode Three. 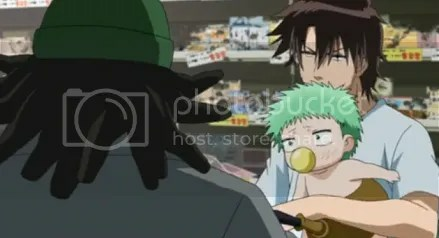 This episode really showed how Oga’s already been attached to Baby Beel and that he won’t easily give him up despite his complaints. 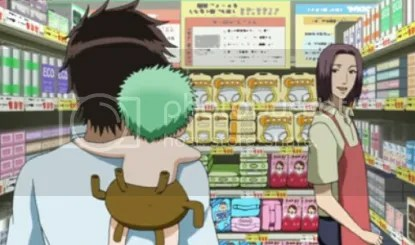 The time he’s spent with Baby Beel has grown on him, making Baby Beel important to him even if he doesn’t see it now or admits it. I’m really glad that he felt it was wrong to dump Baby Beel when the dudes would just abandon Baby Beel if he became useless to them. 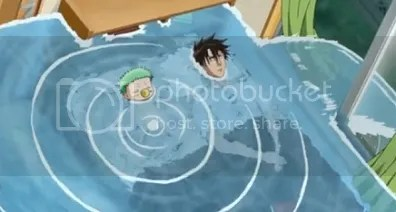 Well, it’s shown that a bond is slowly forming between the Oga and Baby Beel where they’ll be inseparable, hopefully. There’s also a change in Hilda as she’s spending more and more time with Oga and Furichi. She’s probably never interacted with humans before and she’s slowly being influenced by them despite being unaware of the changes. It was interesting to see how she’s striving to be Baby Beel’s mother possibly because the Great Demon Lord had asked her to. It was nice to see Natsumi again.. although at first I couldn’t recognize him since it’s been a week and he only showed up a few times in the last episode. Alain Delon just sat on the couch and chilled at Oga’s house. He was watching the news and it talked about the robbers in the drug store holding people hostages; I wonder if he knew it was Oga and the crew that were being hostages at the store. I guess not much happened in this episode but judging from the previews, it’ll get better next episode. 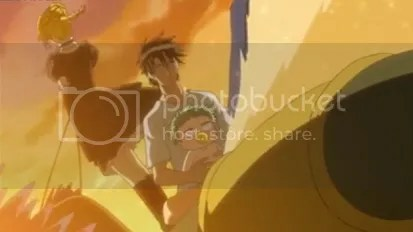 This entry was posted in Anime, Beelzebub, Currently Watching and tagged anime, beelzebub, shonen. Bookmark the permalink.